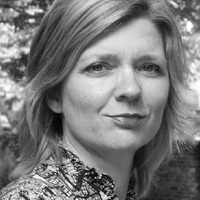 Anna Opel is a writer, translator, theatre critic and dramaturg. She studied history and theatre studies at Universität Tübingen and the Freie Universität, Berlin. She has a doctorate in Theatre Studies and her doctoral thesis Sprachkörper, on the relationship between language and the body in the contemporary drama of Rainald Goetz, Werner Fritsch and Sarah Kane, was published in 2002. Anna Opel has managed the Theaterdock performing arts venue in the Berlin Kulturfabrik and worked as a dramaturg at the Deutsches Theater, Berlin, as well as for many fringe theatre productions. Tracy Letts (Pulitzer Prize winner), David Ives, Christopher Durang, David Lidsay-Abeire, Jack Thorne and Ursula Rani Sarma. She has also worked as an editor for several theatre publishers including Felix Bloch Erben, Berlin. In 2005, her collection of interviews with working mothers Guten Morgen, du Müde was published by Schwarzkopf & Schwarzkopf, Berlin. Anna Opel also works as a freelance journalist. Her articles on cultural politics, biographies of performers and writers, and reviews of theatre and film are published in Theater der Zeit, Aviva-Berlin, Freitag, Zitty and Berliner Zeitung.